Use to add fun to summer parties and cool friends birthdays. Use to add fun to summer parties and cool friends birthdays. 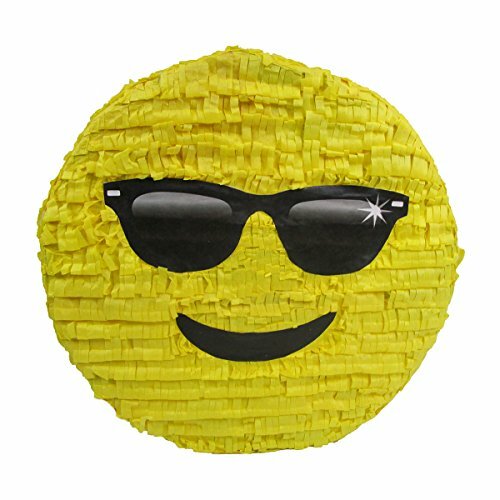 Pinata measures 16″ high by 16″ long by 6″ deep and holds 2 lbs. of toys and candy (sold separately). Perfect for Emoji themed birthday parties, office events or simply for texting addicts! Makes a unique decoration, exclusive photo prop and fun party game. Comes with strong cable tie to hang pinata and opening for adding fillers.